CityLab brings together mayors and urban leaders annually to address issues that cities often face and to encourage collaboration to solve the challenges they share. Detroit’s urban revival efforts offer insights and inspiration to urban leaders globally. The city is hosting innovators for the next three days at CityLabDetroit – and inspiring innovation throughout the year in cities and Global Scholars classrooms around the world. Global Scholars connect in digital classrooms where students from many international cities create and share original content and other students respond. Students learn that global issues are complex and affect everyone. They also improve their skills at collaboration and respectful communication through a series of digital projects, culminating in a Community Action Project. CityLab this week will touch on just these issues, bridging the gap between what cities are doing and what students are learning. Last year, students in 64 cities shared solutions to #FeedingOurCities, modeling collaborative problem-solving and global competency. 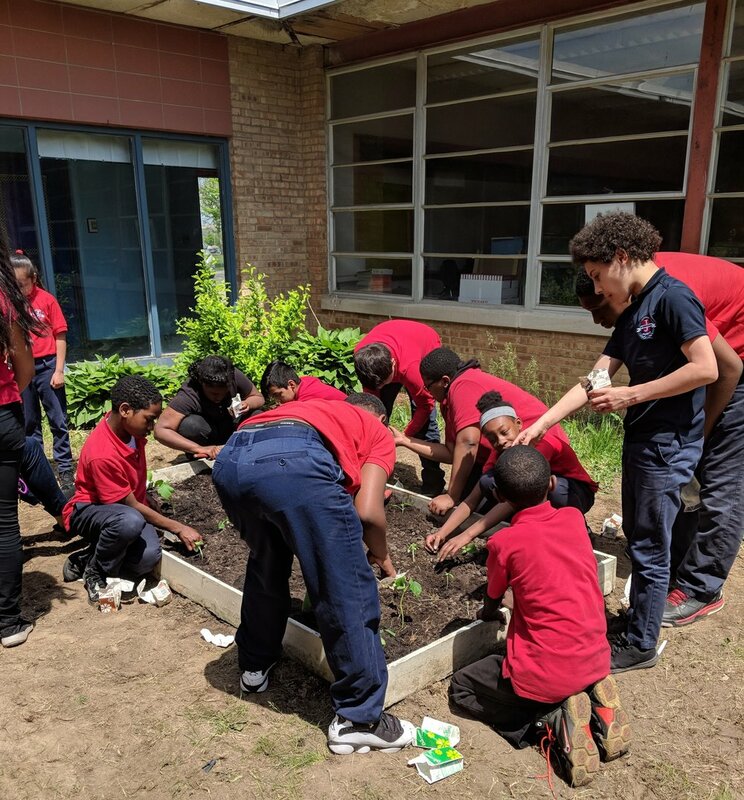 Students in Detroit decided to turn a neglected courtyard into a community garden for their own school for their Community Action Project, which asked them to apply global lessons locally. They had been studying issues such as food waste and food deserts in cities around the world as part of the Feeding Our Cities curriculum. Detroit Global Scholars turned a school courtyard into a garden, applying global lessons locally. Blog: Learn how students went about Growing a Better Breakfast in Detroit. Video: See how design thinking helps Global Scholars tackle complex projects throughout the year.